My daughter, Erin makes pretty snowflakes each evening as she sits on the sofa watching tv. I couldn’t wait to finish my knitting projects so I could make a crochet snowflake. They are so fun and easy, I have already made a lot. We followed a great how-to video by Chandi @ExpressionFiberArts (scroll to video below). The snowflakes work up quickly and the video is easy to follow. You can use whatever yarn/cotton you like. I used Caron Simply Soft Party, Color Snow Sparkle and crochet hook size H. With this yarn, the finished snowflakes measure 4.5-inches. 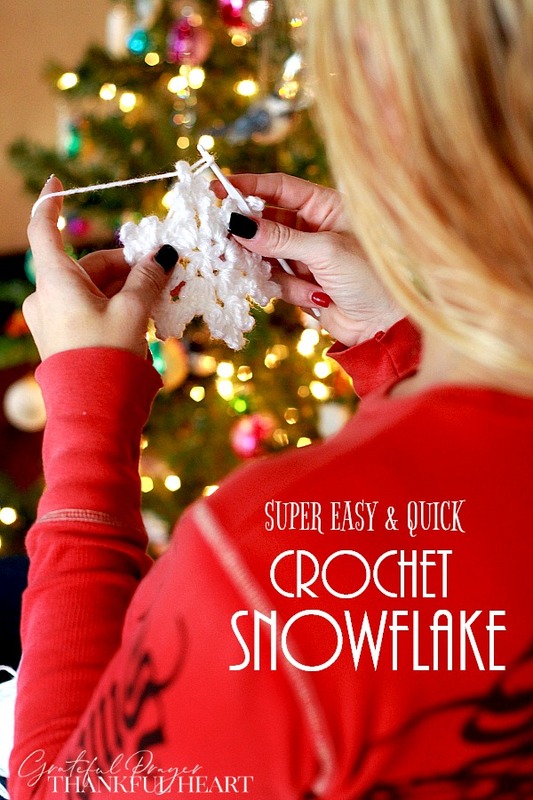 Following this easy video, you will soon crochet a blizzard of pretty snowflakes to brighten wintry days. Love these so easy and so sweet! I could make enough for gift tags for everyone! Video Instructions were easy peasy to follow… will be making dozens of these for gift tag adornment (gift ornament is double bonus… ha ha)… also garland for small tabletop tree. Thanks so much. I am sorry I do not have the printed pattern on my site. Because it is not my own pattern I am not able to post one. If you listen to the video (it isn’t very long) you can write out the directions and then have it for your use. Thanks for the tutorial. I make about 70 snow flakes a year to give to my voulnteers for a gift making workshop. Loved your tutorial. Remembered how much I used to love to crochet. Will dawn next years tree with new snowflakes instead of the one the grandkids made. But will still include theirs too. Plan to subscribe now. Have a wonderful spring, my dear. Jackie P. S. Love your nail polish color! Hi Lorraine, thank you for making this video! You are very generous to have made it to share with everyone! I am planning to make some for gifts for next year. It’s always good to think ahead! Happy New Year to you and yours! 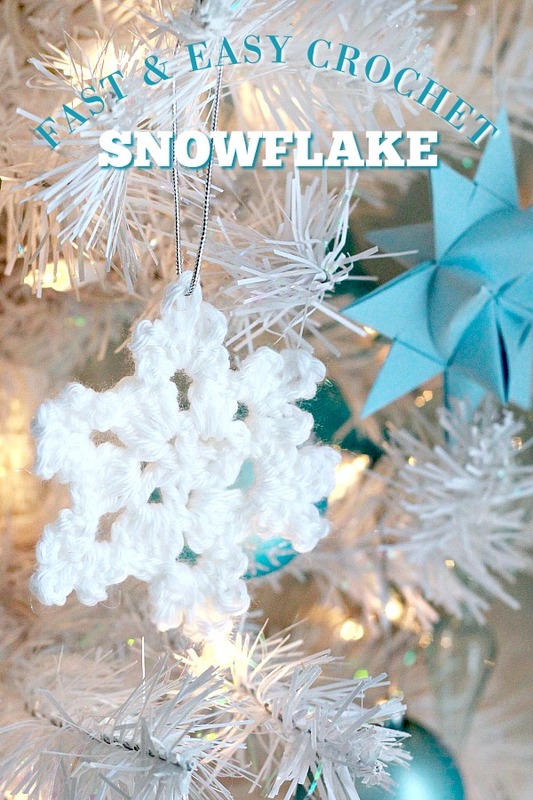 So happy to hear you like the crochet snowflakes! The video is not mine. It was made by Chandi from Expression Fiber Arts and I just shared it because it is a great one. The snowflakes do make sweet gifts and decorations. thank you, thank you and thank you again for your snowflake pattern…I always wanted to make them but they looked so complicated…but you made it so easy…..love it…. Hi Lorraine, your little crochet stars are so simple and cute! I’m making them to attach to hostess gifts for some parties we are attending this season. Other snowflake patterns I’ve tried recently have often been so super hard and frustrating. These are nice and quick and easy, puts the fun back into it. Thanks a bunch for sharing!! Thank you for stopping by and leaving your comment! 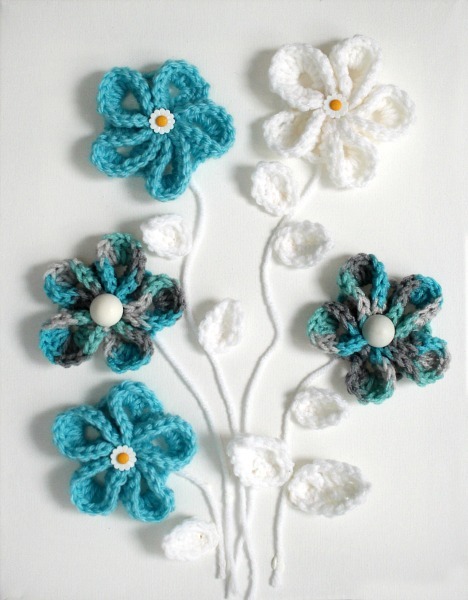 These are really easy to make and very pretty too. Happy to hear you are making them this season. So cute yet elegant too. I am sorry I do not have the printed pattern on my site. Because it is not my own pattern I am not able to post one. If you listen to the video (it isn’t very long) you can write out the directions and then have it for your pattern book. 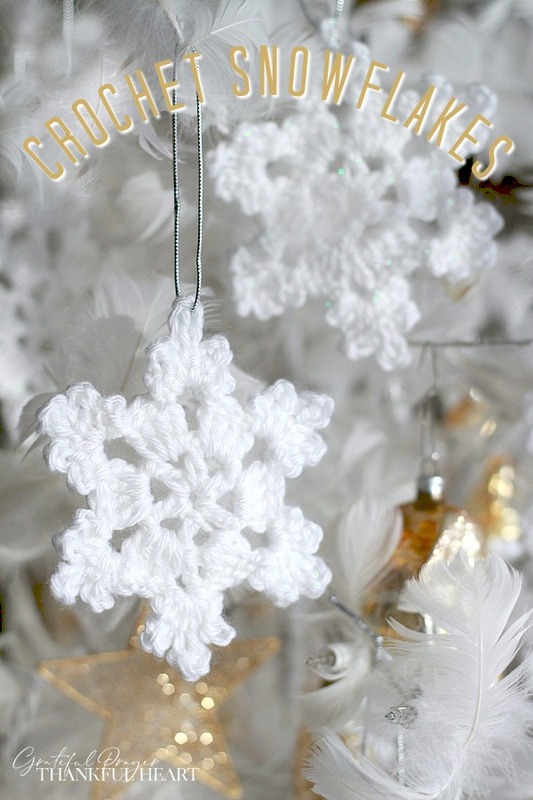 OOO, I love your beautiful snowflakes…when I learn to crochet other than a long chain, I would love to make some…. The snowflakes are beautiful…thank you for sharing. Makes me want get out my crochet hooks and start making some snowflakes. Those are beautiful. 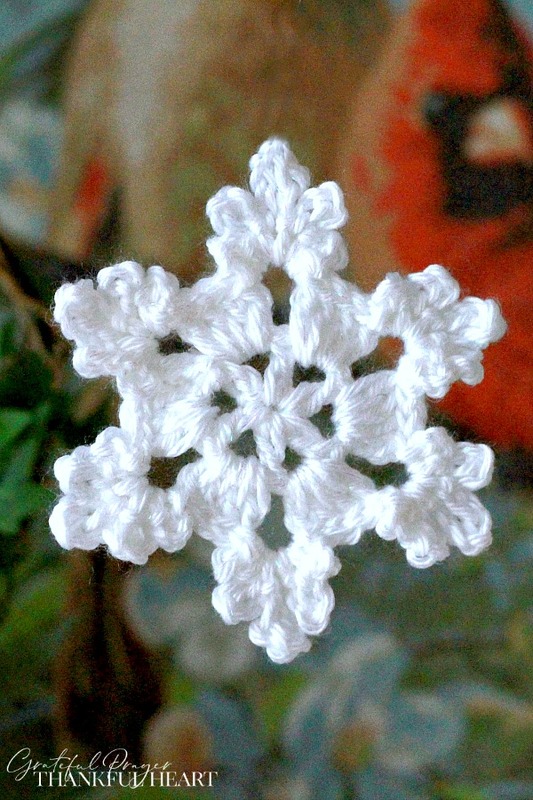 I treasure the crocheted snowflakes my mother made for me. I wish I had paid more attention and learned from her. These are so lovely on the tree!